Houdini are a four piece band from Tallaght, formed earlier this year. Despite being a very young band, Houdini have managed to score an appearance at this year’s Electric Picnic, a cool video and a few gigs around the city. They’re very promising, talented and eager to prove what they’re made of. 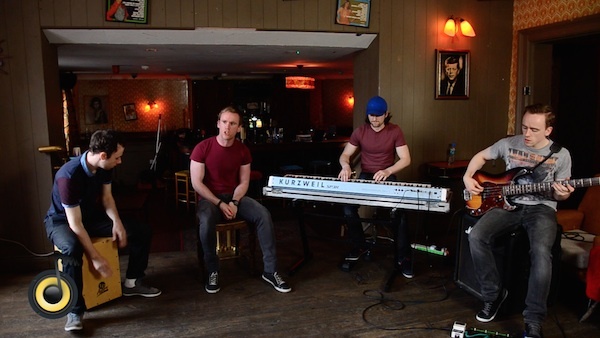 We met them last week in Whelan’s for a chat and a live version of their tune “Hold Our Own”. You can find out more about Houdini on Facebook, Twitter, and YouTube.